Kochu TV Whatsapp Number Is 9840955150 for sending birthday wishes and participating in games, Kochu tv is the one and only kids channel in malayalam. we have published about the kochu tv birthday wishes here. 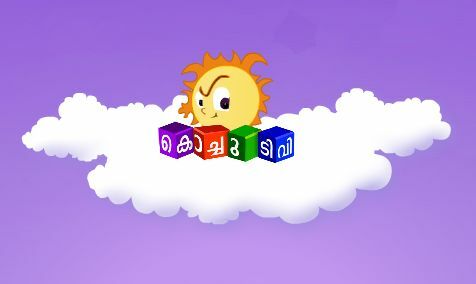 kochu tv is very popular in kerala now, it’s the on and only kids channel in malayalam. Whatsapp Number of kochu tv is very useful for sending the birthday wishes. you can use this number for sending your kids details for the birthday wishes. kochu tv will wish your kid on the birthday, you need to send the details before 10 days. Hotstar from star network is one of the leading mobile app for checking tv programs online. Sun network launched sun nxt app, all sun tv programs and films are getting through the same. Mazhavil manorama planning to launch mobile app, they have started an initiative named mazhavil multiplex. Zee keralam channel official mobile app is ZEE5, chembarathi, alliyamabal etc getting through the same. As mentioned earlier kochu tv is the one and only full time kids channel in malayalam. Kochu tv from sun network and malayalam cartoon can be enjoy through this channel. we can wish our children’s birthday through this channel. They will scroll the birthday wishes and greet your kid. you can send child images and birth date to kochu tv. [email protected] is the official email id, make sure to send the details before 10 days. Birthday wishes on Kochu TV is showing 8 A.M and 1 P.M on Kochu TV. Photo size is Post card size 6 x 4 inch. Kochu TV Whatsapp Number can be used for sending the birthday wishes. Whatsapp is very popular now, it’s available on android and other mobile devices. procedure is same as above, you need to send your kid name, date of birth and his/her photo to this number. doayude prayanam, marsupilami, detective rajappan etc are some of the popular shows on this channel. there are an interactive section kochu tv is that the birthday greetings.